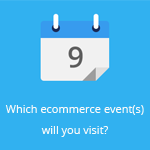 May 9, 2014 by Ecommerce News. About Cross-border, Startups with tags Poland. 3764 views. PierreRiu.com launched only two weeks ago and the luxury fashion online store has already launched in Poland, Italy and Germany. And it’s not like inhabitants from other European countries have to suffer as PierreRiu.com operates in all European Union countries. The buy & sell platform enables users to buy and sell luxury clothes and accessories online. And to be clear: it’s not only new items that can be bought and sold via PierreRiu.com, fashionistas and other interested people can also trade used clothes, bags and accessories. In addition, the platform guarantees the authenticity of all the offered products. To guarantee that the clothes are originals, PierreRiu.com wants to score with exclusivity. Their offering is limited to 36 selected fashion brands, including Burberry, Chanel, Christian Louboutin, Dior, Dolce & Gabbana, Hermès, Jimmy Choo, Louis Vuitton, Prada and Ralph Lauren. Registration is free for buyers as well as sellers and customers are able to pay their goods using PayPal, PayU or MangoPay. FedEx, UPS and DPD are the logistics partners and the costs of delivery will depend on the shipping and delivery country. PierreRiu.com is an initiative from the Polish company Dervin Trade.